Atlanta, GA, November 2, 2008 -- On November 1, 2008, Speedfactory's R&D Charger ran a quarter mile in 10.354 seconds, with a trap speed of 137.39 mph at Silver Dollar Raceway in Reynolds, Georgia. According to records kept by the LXForums.com moderators, Speedfactory beat all previous quarter mile times set by actual production LX/LC-platform cars -- modern Dodge Chargers, Challengers, Magnums and Chrysler 300Cs. Speedfactory driver Eddie Rosa originally broke the record the night before, continuing to improve throughout the weekend. "We're very excited by this achievement, as we have worked for a number of months to unleash the potential of this Charger. There's still more we can do, and a good chance we can run even faster times,” said Mark Brucks, General Manager, Speedfactory. "All of us at Speedfactory, and our partners, are motorheads and fans of these cars as well as businessmen. This is what we live for, building speed and automotive dream cars." "The Vortech V-7 YSi-trim supercharger supports up to 1200HP with 78% efficiency," states Gil Cormaci, Director, Sales and Marketing for Vortech Engineering. "We are very pleased with our association with Speedfactory, Landmark Dodge and Injected Engineering. 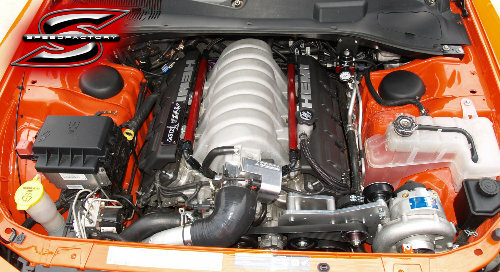 The application of our YSi-trim compressor to this HEMI Charger was done with the highest expertise resulting in this impressive time and speed." The record-breaking runs excited Injected Engineering’s Ryan Wall: "Working with Speedfactory has allowed us to take the LX/LC vehicles to a new level. Our tuning expertise and Speedfactory’s resources have created the perfect partnership for record-braking performance. The Speedfactory R&D Charger is proof that our skills at tuning will bring customers the very best performance that a Dodge/Chrysler vehicle has to offer."